Justice Keepers Publishing was established by Pastor Jeff Crippen to facilitate publishing books through Amazon’s Createspace self-publishing tool. 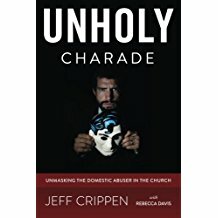 The focus of the books is the exposure of evil in the visible church and the validation and aid of victims such as victims of domestic and sexual abusers. Books can be purchased by clicking on the cover of the book, which is linked to Amazon. Untwisting Scriptures has been translated into Portuguese. Click here to go to Amazon for this edition.